Our post office stocks and sells Gisela Graham bits and they had some cute little white ceramic birds reduced to £1.15 so I bought 3. 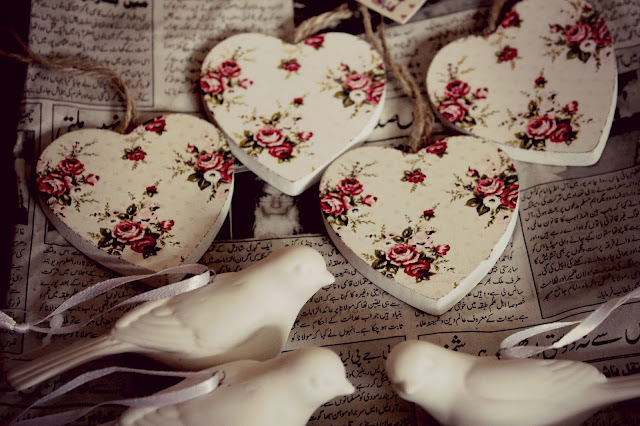 Unbeknown to me, my husband also bought 4 Sass and Belle floral hearts in a little boutique for £1.50 each. I saw them and knew immediately that I wanted to make a garland for our living room. We have a birdie motif throughout the house as with my husband working for the RSPB, it's a natural theme. 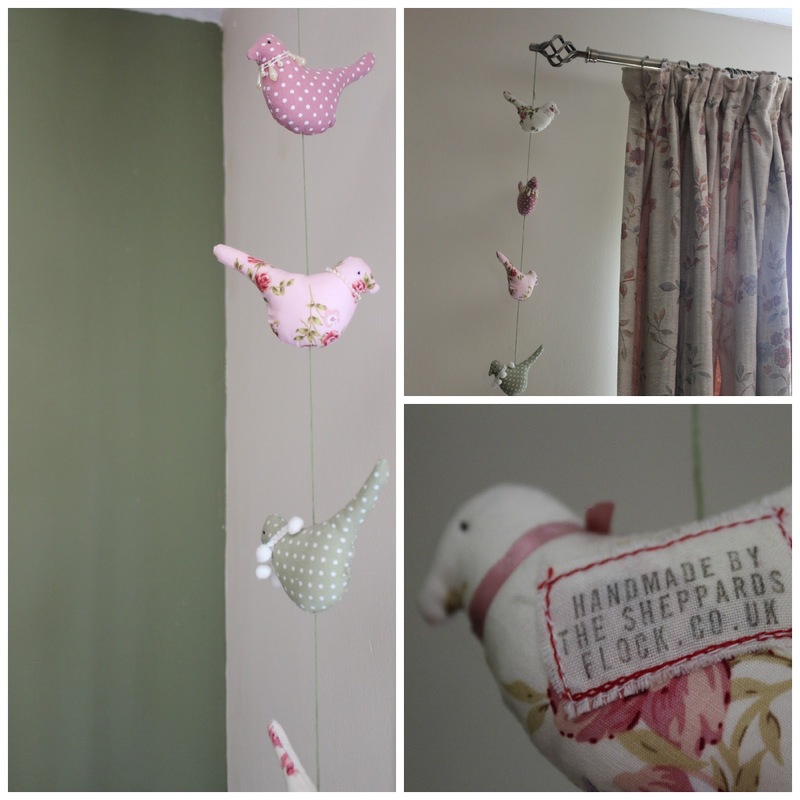 This garland would coordinate with one we bought last year at a gift fair here in Malvern from thesheppardsflock. 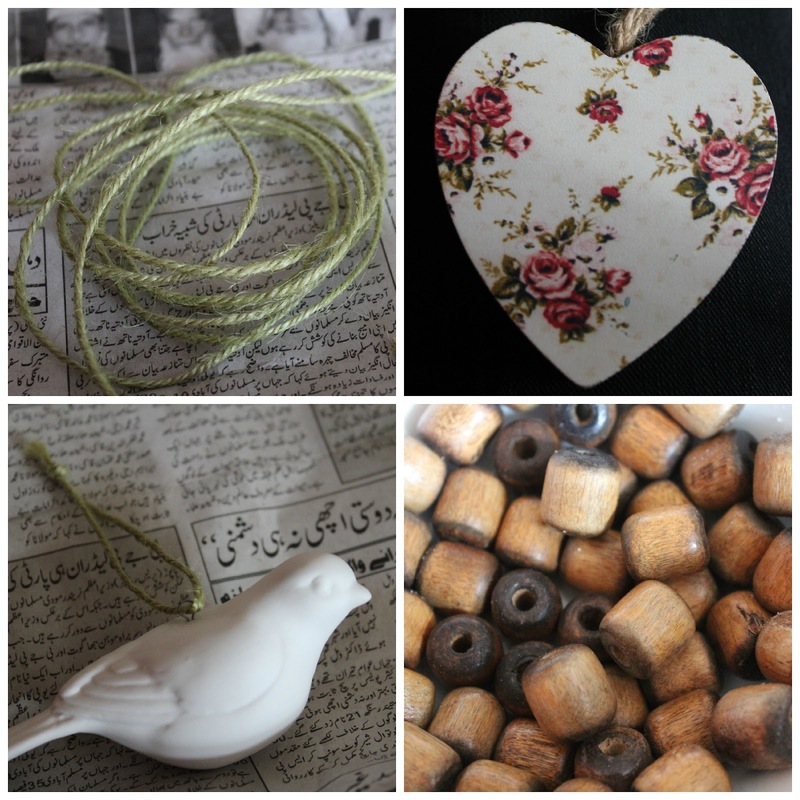 The birds had white ribbons which I decided to replace with twine. It has taken me a few weeks to get the twine and I settled in green with few other options available to me locally. I began by removing the ribbons and price tags. I measured 3pieces of twine and attached them to the birds. With 4 hearts and 3 birds it was easy to pitch the order I'd hang them. I did a simple knot with 3' between each hanging decoration. 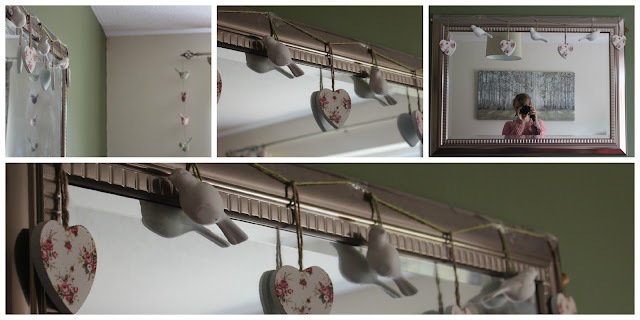 At the ends I added a wooden bead and then hung the finished garland on my mirror. The birdies weight meant I needed to use sticky tape to hold the twine in place so not the exact finish I had pictured but I am pleased overall. This wasn't exactly a cost saving piece at £10 as I'm sure I could have found another crafter making something similar for around the same price but of course it doesn't provide the same satisfaction and may not have blended in as well. I know I have read an article about this in a magazine very recently but can't find it now typically. Perhaps that is because in addition to my usual 2 magazines I receive on subscription, I also bought 5 in a charity shop for 20p each. They were old copies but still had patterns included and inspiration is still there to be found and now my head is buzzing with things to do!